This picture tells the final paragraph for this 2014 Cardinals season...Giants fans grinning...Cards lining along the dugout fence, going deer hunting and headed off for more golf. 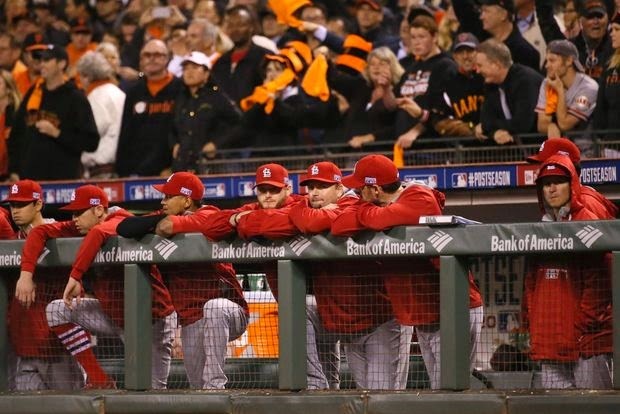 Giants 6, Cardinals 3...adios Cardinales for `14...the Giants outplayed them. Surprise...and Ouch...still signed up for 2015.